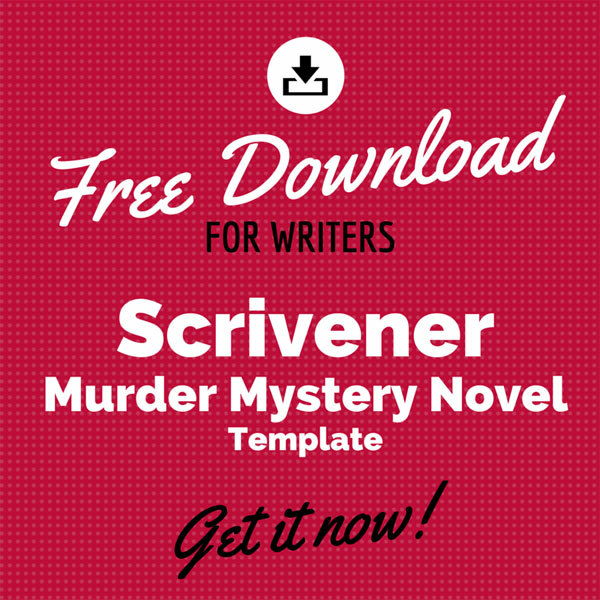 My next Scrivener template is now available for download: a murder mystery novel template. This one is based on my own template that I've been using for my upcoming mystery series. It allows you to plan, outline, and draft your next murder mystery all in one project file. 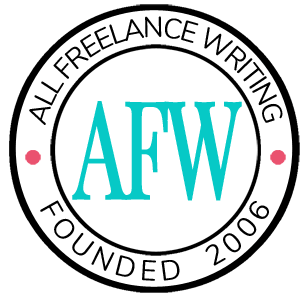 Plus, there's a place to write up some of your promotional copy, like your book launch press release and author bio. The research folder contains some links to recommended research material on murder weapons (blades, firearms, and poisons specifically) as well as some links to resources covering police procedure and forensics. There are character sketch sheets customized for your sleuth, killer, and victim, plus a more general character worksheet template you can use for minor characters. Similarly, there's a special setting worksheet for your crime scene and a more general setting sketch sheet for other settings in your novel. This project template should work for both Mac and Windows Scrivener users. Remember that you have to import the template; you can't simply try to open it like a project file. * Please remember to unzip / extract the Scrivener template file from the compressed (.zip) folder that you download. You must do this before importing the template into Scrivener. Also remember that you must either copy and paste the extracted template file into the folder on your system where Scrivener templates are stored, or you must import the template through Scrivener. In the Windows version, for example, you go to your File menu and click "New Project." On the next screen, go to the Options mention near the lower left corner. Choose "import templates." Find the file you extracted, and Scrivener will import the template for you. Don't miss the rest of my free Scrivener templates including the white paper template, single blog template, and multi-blog template. Terrific template. Thanks for sharing. This template is nothing short of brilliant! Thanks so much for sharing it – I can’t wait to start using this on the next book in my series. Would that I had this four years ago! Thank you for the wonderful Cozy Mysteries Scrivener Template! I downloaded and put it in Scrivener in less than a minute. Now, I’m ready to set up my outline! Thanks! Couldn’t download the template. Instead I was asked to download driver updates. Why do I need a driver update? If you’re being prompted to update a driver, that has nothing to do with the file here itself. It means the software you’re using, or something else in your system, needs to be updated to work with the general file type. You would have to check into your system specs. That’s unfortunately not something I can help with. No. I googled Driver Update and it’s a virus. Downloaded a different Scrivener template last week with no problem. A lot of things can prompt a machine for a driver update. Usually it’s related to a driver needing an actual update (happens quite frequently). There’s no virus in the file. The file itself was checked, and it hasn’t been modified in the last 2 years. It’s been tested on multiple machines and is working properly. Another visitor emailed me about it just last week after having used it, without problems there either. And just to be sure, I tested it again this morning on another machine. When imported properly, the file behaves exactly as it’s supposed to (unzip/extract the download, then go to the new project window in Scrivener and choose to import a template from the dropdown menu, and choose the extracted template file — some people try to import the .zip folder directly which would fail, though I don’t know why that would have anything to do with drivers). The problem is system-specific if it’s related to your drivers. And if you do have a virus, it came from elsewhere. The best thing to do is run a full system scan with your anti-virus software. But as I said before, that’s unfortunately not a problem I can personally help you resolve. I hope you get it sorted out. There is nothing wrong with my drivers. There is a sneaky ad piggybacking on your site. It’s download button is positioned right above your download button. I simply hit the wrong download button and got the malware. It’s easy to hit the wrong download button and get the malware. Scrolling down, I simply clicked the first download button I saw, thinking it was your template. I don’t know if you can control who advertises on your download page, but I got the malware from the ad. But I did eventually get the template too, and it’s great! Thanks! Am I missing something? Every item listed in the table of contents (left-hand column) is just a blank document. Even the “About This Template” is blank. I am running Scrivener Version 1.9.9.0 03 – Oct 2018. Please advise.